Samsung has become known as a good manufacturer for providing updates to their devices in something of a timely fashion and they’ve recently been releasing Android 4.4 KitKat for a handful of their devices. The Galaxy Note 3 recently got the update and now, the Galaxy Note 10.1 – 2014 Edition is getting the update to Android 4.4 KitKat as well. The update is rolling out to the WiFi-Only version of the Note 10.1 – 2014 with a model number of SM-P600, so those that picked up a wireless variant, there’s going to be a little bit of a longer wait. 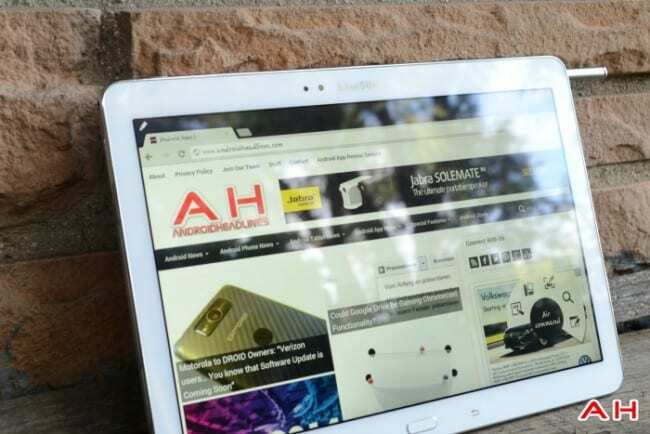 This latest version of Android for the Galaxy Note 10.1 – 2014 Edition, isn’t going to be a revolution for users of the latest tablet, but it will bring a few changes. The statusbar icons will be changed to the KitKat white we’ve come to expect from these updates and the usual KitKat additions, such as cloud print support and more are of course included. So too, is the simple unlock button to get the camera from your lockscreen. Tablet users will be happy to see that immersive mode is here with Android 4.4, and allows for the statusbar to disappear in a lot of apps and give you all the screen real estate you want. The update has originated from Columbia, so you might have to wait a little while for the update to hit your device, but we’re pretty sure that Samsung won’t be dragging their feet on this one. With this update, the majority of Samsung’s tablets are now running the latest version of Android which, for some people is a reason to pick one of these guys up, if you haven’t done already. We reviewed the Galaxy Note 10.1 – 2014 Edition and found it to be a competent Android tablet, with a few performance issues. Do you have a Galaxy Note – 2014 Edition? Let us know in the comments or over on Google+ if you’ve gotten the update! The post Galaxy Note 10.1 – 2014 Edition Says Hello to Android 4.4 KitKat in Latest Update appeared first on AndroidHeadlines.com |.